The Sorrento Collection is the newest addition to the Saba Living by Bold range. Inspired by calm and soothing coastal living, this home design is like no other. Suited perfectly for a bayside lifestyle, this residence is an entertainer’s delight, boasting seamless integration between indoor and outdoor living. Upon entering through the oversized entry door, you’ll be greeted with light filled voids, relaxing sitting room, the fifth bedroom with private ensuite and study space. 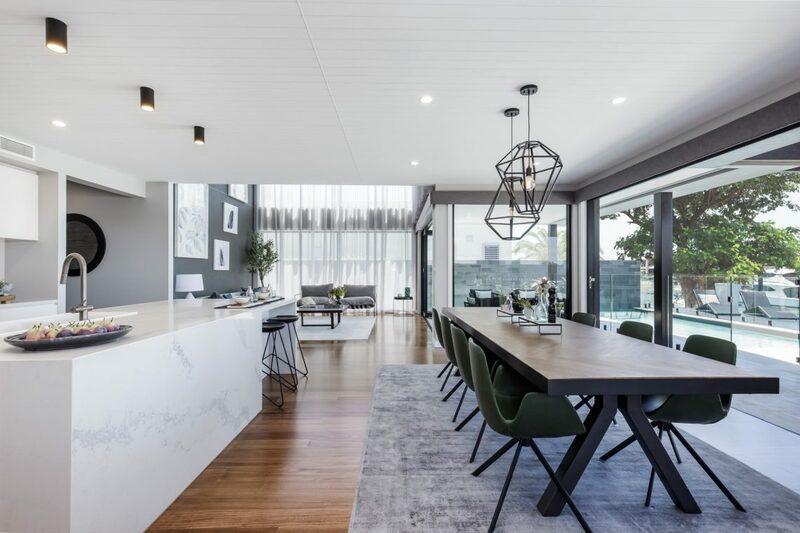 The open plan kitchen including butler’s pantry is situated in the heat of the home, looking out through the bi-fold doors to the expansive outdoor living space. Be totally captivated by this contemporary masterpiece, designed for the gracious Queensland lifestyle.